Our driver, Abdul Gawi ("Abdul the Strong"), inspects his daily qat rations. 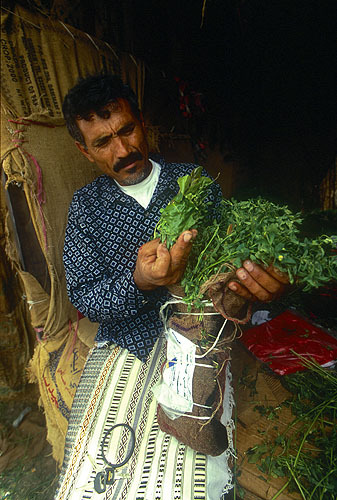 Qat is a mildly narcotic plant, the ritual chewing of which an institution in Yemen. I strongly recommend reading "Eating The Flowers of Paradise" by Kevin Rushby for a real insight into this whole scene.